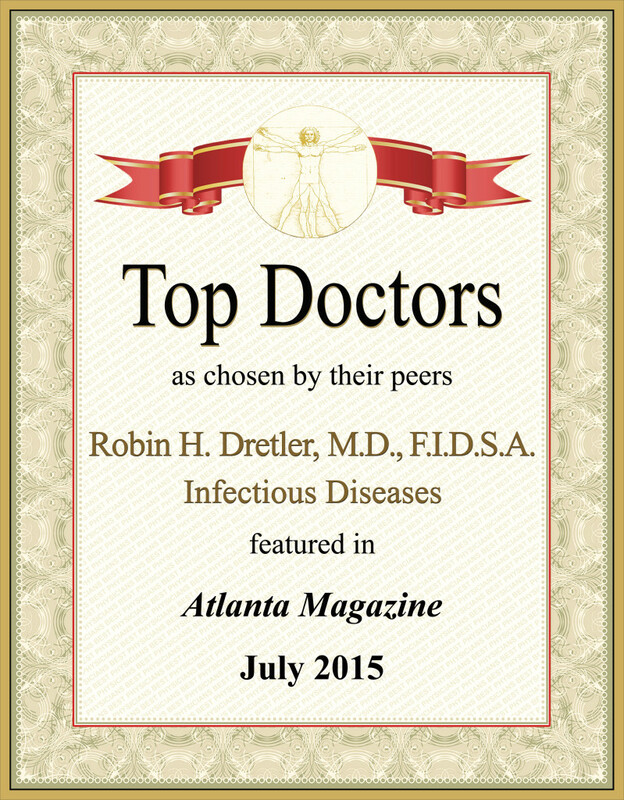 Top Doc Radio appearance by Robin H. Dretler, M.D. 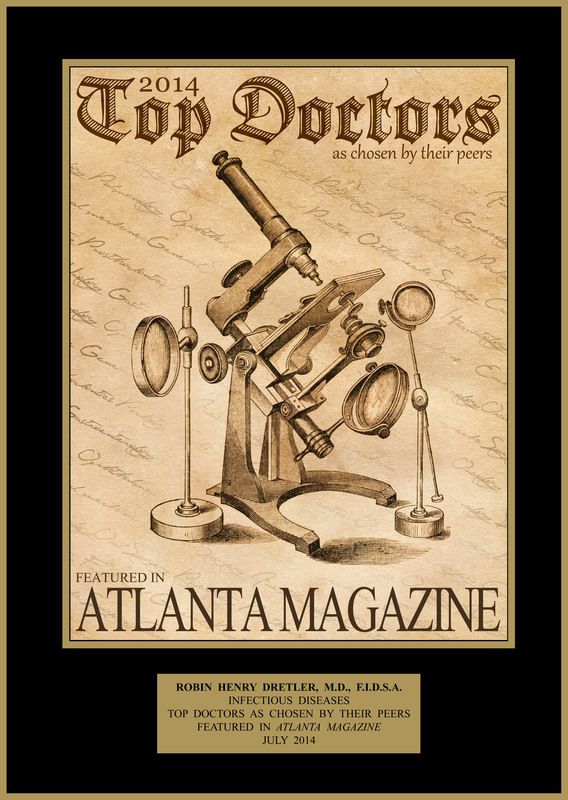 October 2016- The IDSA Clinical Research Department was awarded with the “Clinical Research Site Award” by a prestigious study sponsor. Criteria for receiving this award includes meeting and exceeding the number of enrolled patients despite a challenging inclusion protocol and a clinical research staff who were recognized as being highly experienced, collaborative, and responsive. 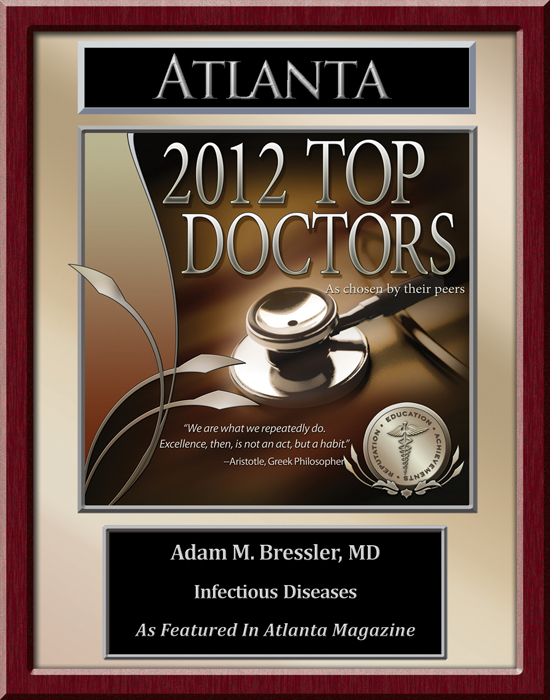 Dr. Dretler has been voted a “Top Doctor,” Infectious Disease, Atlanta Magazine in 2009, 2010, 2011, 2012, 2013, 2014, 2015, 2016, and 2017 and by U.S. News & World Report in 2012. Dr. Bressler has been voted a “Top Doctor,” Infectious Disease, Atlanta Magazine in 2011, 2012, 2013, 2014, 2015, 2016, and 2017 and by U.S. News & World Report in 2012. 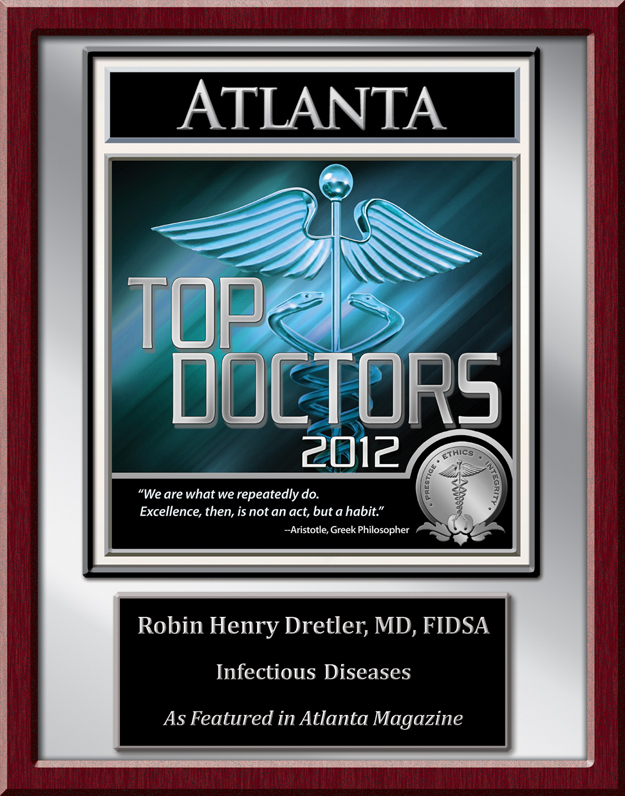 WSB-TV January, 24, 2013 – Dr. Dretler: “New strain of norovirus spreading quickly in U.S.
Dr. Dretler is a delegate to the Medical Association of Georgia and a past president of both the DeKalb Medical Society and the Infectious Disease Society of Georgia. He is Medical Vice-Chair for the DeKalb Medical Foundation. Dr. Dretler has also served in numerous leadership positions at DeKalb Medical, including most recently, Chief of Staff. 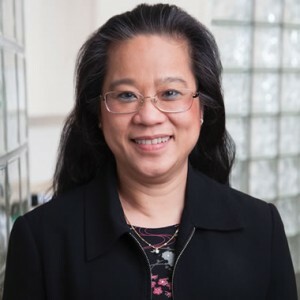 Dr. Nguyen has served as Medical Co-director of the Susan G. Komen Atlanta 3-Day, 2011, 2012 and 2013. 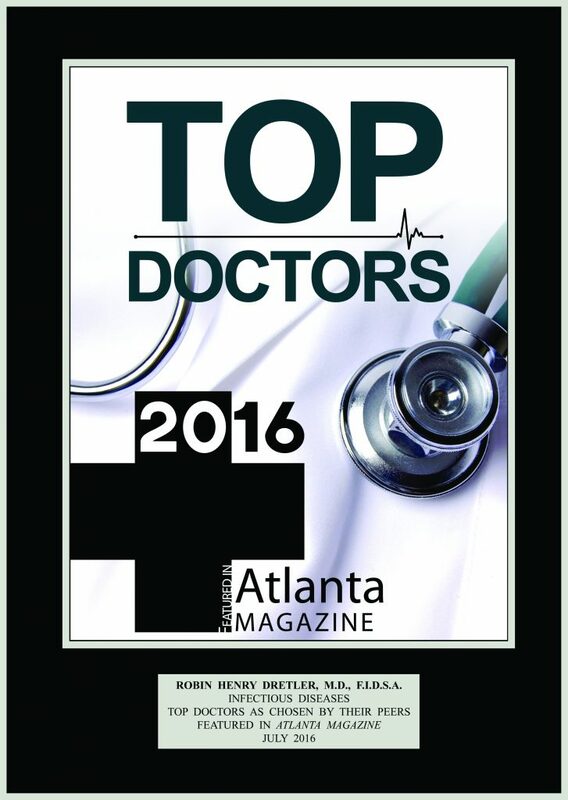 She is Chief, Department of Medicine, at DeKalb Medical at Downtown Decatur. 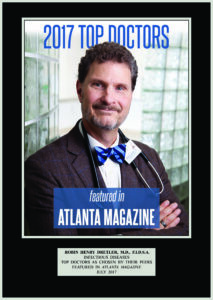 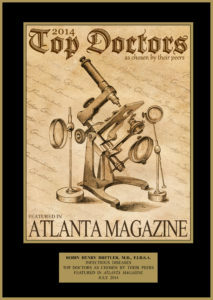 Dr. Boden serves as President of the Christian Medical and Dental Associations of Atlanta. 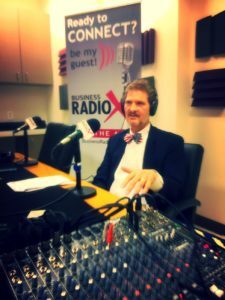 Medical mission trips are an integral activity of this organization. 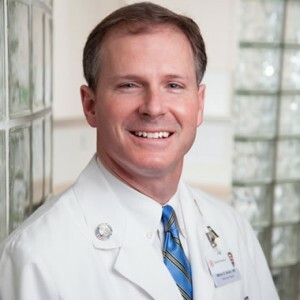 He leads an annual medical mission trip to Haiti through Global Health Outreach, a subsidiary of CMDA. 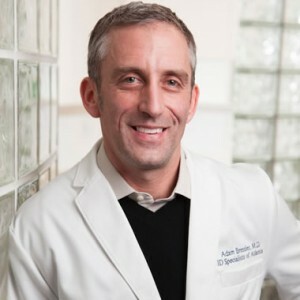 Dr. Boden is Vice-Chief of Staff at DeKalb Medical at Downtown Decatur and is the Director of the DeKalb Medical Comprehensive Wound Care Center. 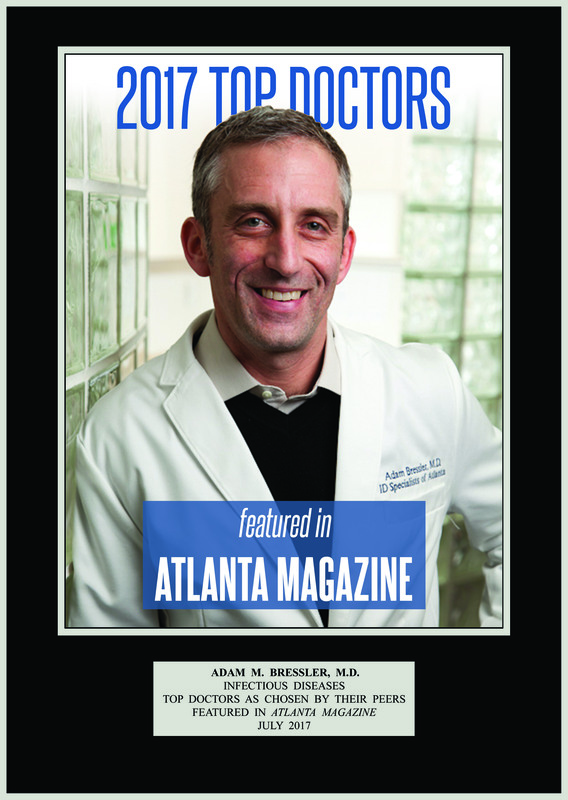 Dr. Wurapa volunteers at the DeKalb Physicians Care Clinic, providing free care to the underserved in DeKalb County. 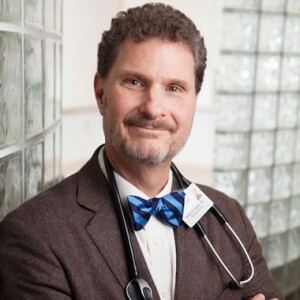 He is a member of the Physician Hospital Organization Clinical Oversight Committee at DeKalb Medical and Secretary, Medical Staff, at DeKalb Medical at Downtown Decatur. 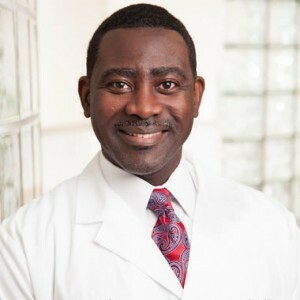 Dr. Wurapa also served as Chief of the Department of Medicine at DeKalb Medical North Decatur. Director of Microbiology and Director of Infection Control and Epidemiology at Rockdale Medical Center.